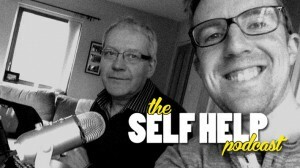 The Self Help Podcast is a new weekly podcast from Live in the Present. Featuring 2 out of the 3 members of our team (we’re working on Rie) it is, at it’s core, two lovely chaps discussing interesting things. The show is presented by Edward Lamb, our resident designer, day dreamer and tech loving geek. Ed’s sidekick is Sean Orford, a man who has spent a large chunk of his life talking to people and helping them overcome obstacles both large and small. A fully qualified psychotherapist, Sean has been there and bought the t-shirt. Put these two great minds together and you have 20-30 minutes of (we hope) interesting debate, discussion and rumination on a set topic. Ultimately, our goal with The Self Help Podcast is to give you, our dear listeners, a better understanding of the strange and marvellous world in which we live. Not only that, but we want to help you to understand you that bit better as well. You may not always hear what you want to hear. Our conversation may sometimes pick up on some of the more complex forms of human behaviour but hey, it’s a jungle out there. Here’s an example for you. Episode 3, to be more precise! Good question! Well, think of it as a radio show. Sure, there are video podcasts out there, but ours is exclusively for your ears. 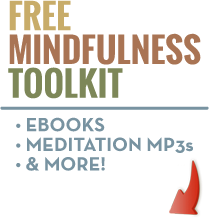 Each week you can visit our website or iTunes (more about this below) and digest half an hour of interesting self help chit-chat. There are a couple of ways. Firstly, you can access our podcasts directly via our website. New episodes will be published on a Thursday morning. If you’re signed up to our mailing list (surely you’ve noticed the signup forms all over this page?!) then we’ll email you at the end of each week with a link to listen to the latest episode. Alternatively, you can use software such as iTunes or Stitcher to subscribe and be notified about new episodes. Personally, we’d recommend using iTunes (especially if you’re new to the world of podcasting) as it makes things nice and easy to download shows, meaning that you can listen to Sean and Ed whilst you’re out and about, travelling to work or even at work. The Self Help Podcast is by no means the finished article. We’re always looking for ways to improve our output so please do let us know what you think. You can leave a review about our show on iTunes, contact us in the comments section of each episode or email us directly. There’s always Facebook and Twitter as well of course.